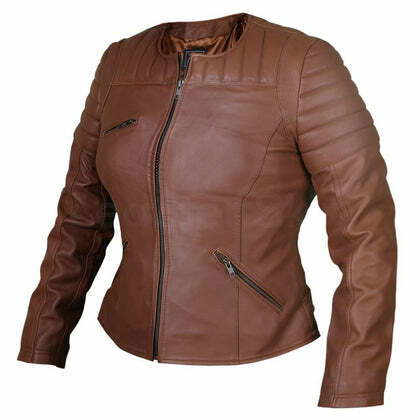 This brown women leather jacket is apt for any modern woman and is suited to all seasons. 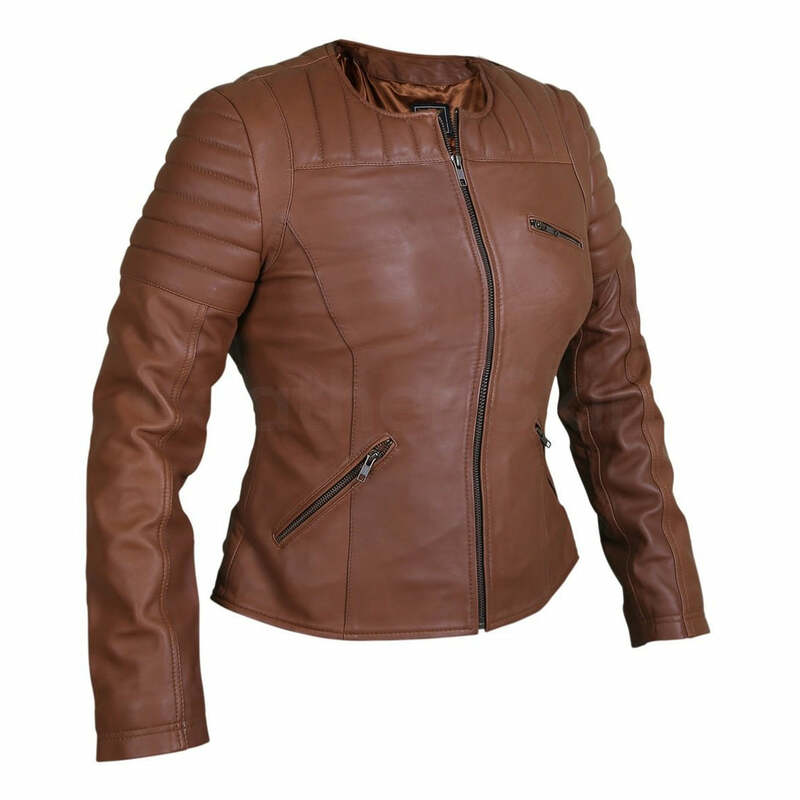 Adorned in a muted and neutral tone, the coloring is an integral aspect of this leather jacket and provides it a versatile appeal. 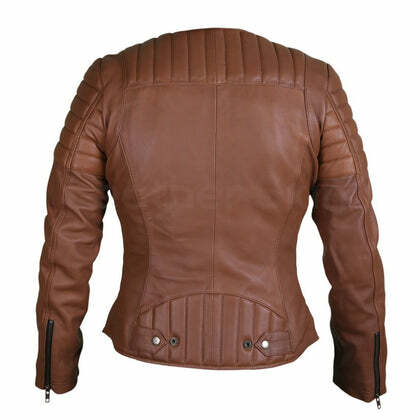 It will slip on easily with any outfit you choose to go out and is perfect for any party or casual hangout. When you’re bored with your black jackets but not ready for those pastel ones, this LSS brown leather jacket will be your safest bet. 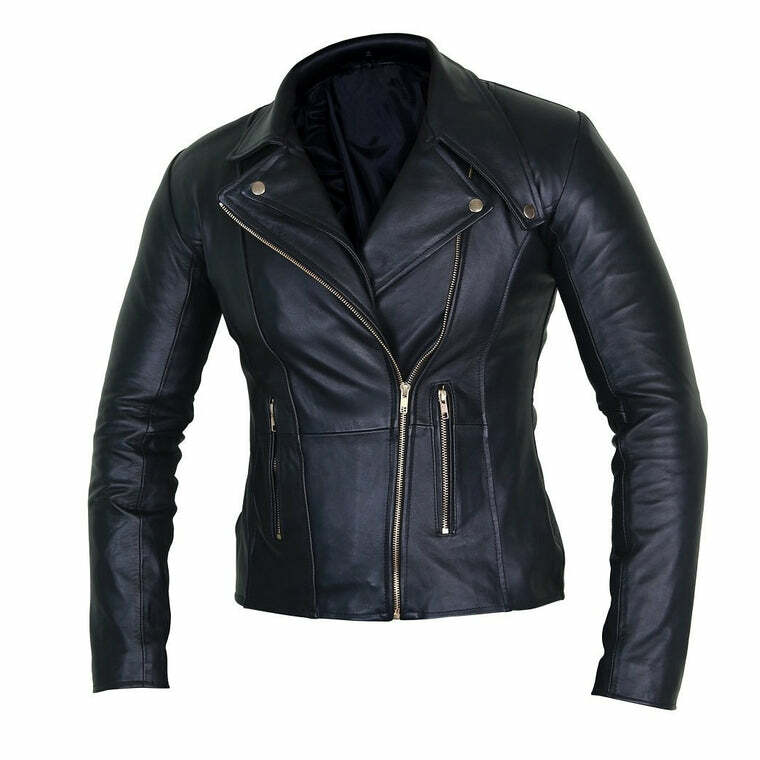 Like black, it’s versatile and goes well with a range of colors and styles. This brown jacket can complement your short black dresses for a fancy and tough look. 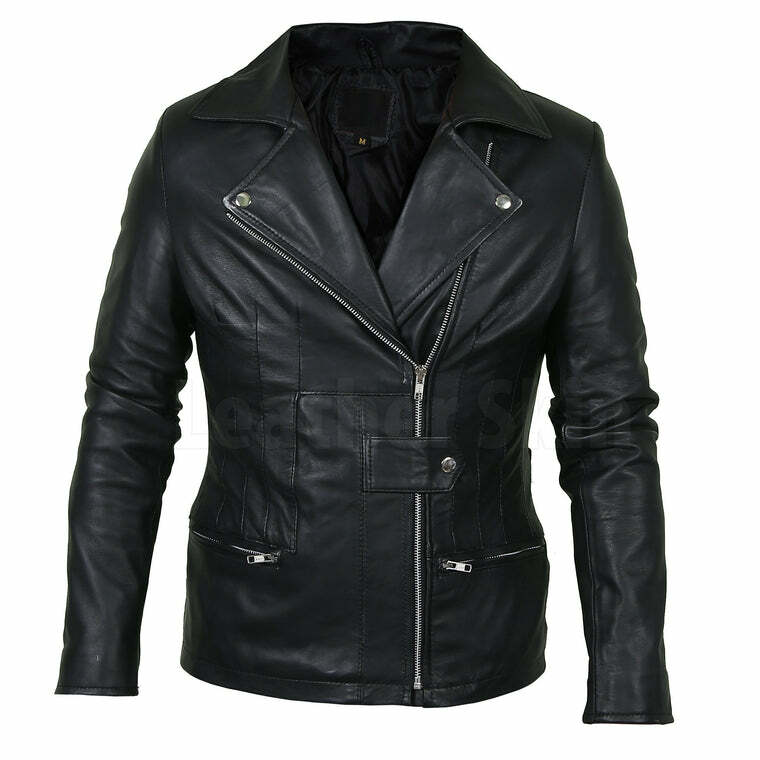 Or you can pair it with a simple tee and jeans for a casual ensemble. 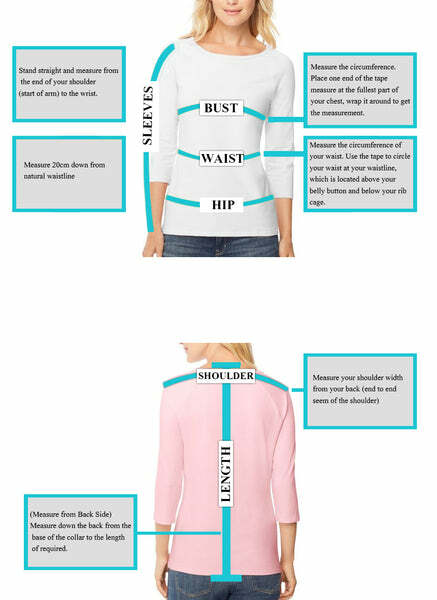 Or if you’re feeling brave, wear it over some purple pants and golden heels. It is composed with high quality sheep leather and will keep your skin very comfortable. 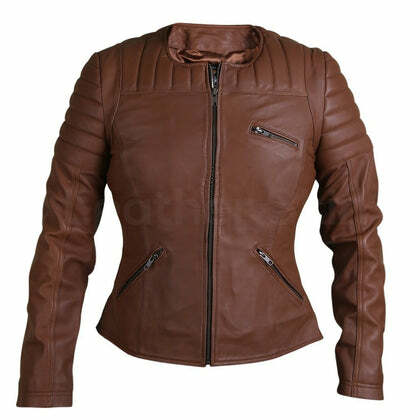 A collarless neck and rib quilted shoulders add to the visual balance of this striking leather jacket. With side zippers to go with one inside zipper this is an excellent outfit and is very flexible and durable in its appeal.